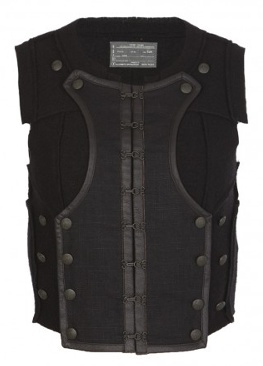 Ooo, I totally adore this most fabulous waistcoat!! Doesn't it remind you of a samurai? I really want it, and so do a lot of other people as it's selling out in sizes, oh noes! Buy at All Saints for $140. It's really different type of leather jacket.It will look stylish after wearing.